Loft Conversion Part 2 – Is my loft suitable for a conversion? From the moment we first saw our house, before we even put an offer in we knew we would eventually convert our loft to accommodate our growing family. But how do you know if your loft is suitable for a conversion? It’s worth noting that not all lofts have enough space to make the conversion work. Yes, it can be structurally possible but does it add value to your house? Does it make it more appealing to the local area? Would it make your property too ‘top heavy’? Remember, this is much more than an expense. It’s an opportunity to live in a larger, better planned space that will not only pay for itself but also make you money in the long run. It is generally accepted that ceiling heights in the 1st floor should be approximately 2.30m, however, this will depend on how steep the pitch/slope of your roof is. Unfortunately for us, our pitch isn’t very high and we have to lower our ceiling to gain the head height needed for our loft conversion. For those with roomier places (I envy you!) and who have a steep pitch you could even have a mezzanine, wouldn’t that look fabulous? The more generous properties tend to be 1930s or older, sometimes dating from the Victorian and Edwardian era. They often have rather large loft spaces and high pitches but that’s not to say it’s always the case! The more modern houses, however, have much shallower pitches and may not even be suitable for a conversion… even though they can still provide excellent storage for those seasonal decorations that we only need once a year. It took us 4 years to find the right Loft Specialist Company and many, many hours spent going over drawing plans and making sure that every space was made useful! This type of project can be very disruptive indeed but, in my opinion, it’s well worth the effort. To find out whether or not your space can be converted too, do your research. Contact at least a couple of local, recommended loft companies who know your area and preferably have undertaken similar projects and completed them successfully! They will be able to tell you rather quickly whether or not you can convert your space. Stay tuned. In my next blog I’ll talk to you about the first steps to take before you too get started with your loft conversion. In the meantime, if you have any questions for me or want to get in touch please email me on studio@paulatrovalusci.co.uk, it would be lovely to hear from you. 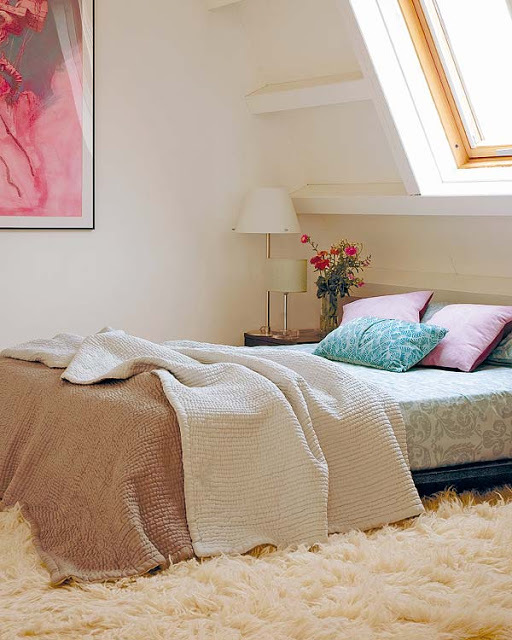 Loft Conversion Part 1 – Why do we convert our lofts anyway? What are my curtain heading options?